Ironman “Everyday Hero” Award | Ironman for Life! David Daggett was recently presented the Everyday Hero award for the 2009 Ford Ironman™ Coeur d’Alene. The Everyday Hero Award is presented to an athlete who has contributed to a person, charity or organization in a significant way while continuing the challenge of training for arduous Ironman (2.4 mile swim, 112 mile bike, 26.2 mile marathon run) competitions. This honor is in recognition of David Daggett’s positive contribution to the community through Safe Sober Prom Night. Daggett’s personal devotion to and passion for young people is a driving force for the program. He has personally spoken hundreds of times to thousands of students. This Spring alone he personally made over 50 appearances, presentations, and speeches ranging from individual class rooms to entire student bodies and community events. His presentations typically include motivational segments that use Ironman analogies and metaphors resulting in a unique avenue of engagement for young people. 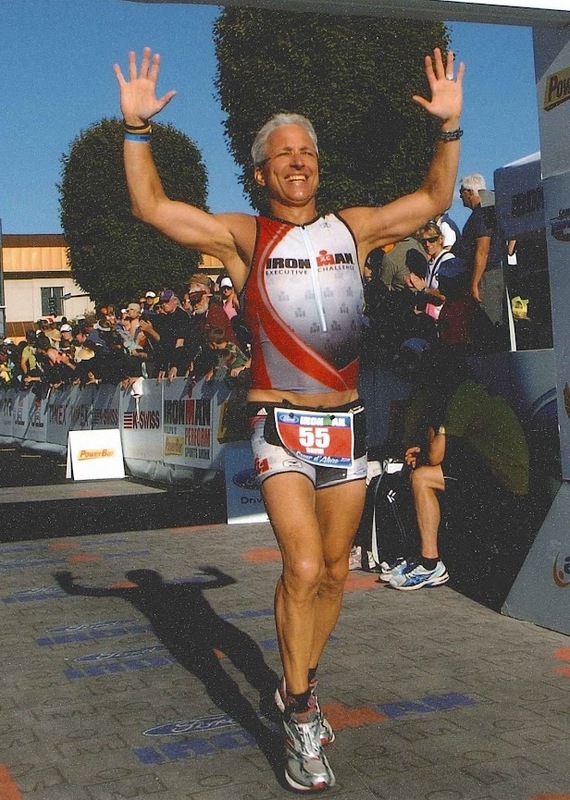 David Daggett was also selected to be a part of the exclusive Ironman™ Executive Challenge (XC) for this Ironman™ event. As the oldest competitor in this category Daggett joked “I always knew that one day I would be the oldest, I just didn’t know it would happen so soon.” He placed fourth in the Executive Challenge with an overall time of 11:35:43. This Ironman was Daggett’s eighteenth Ironman™ competition and his 151st triathlon. The “Ford Everyday Hero” video, created by the Ironman™ broadcast production team was shown at the event. This footage, along with clips of Daggett in the race, has been featured in the Ford Ironman™ television program and has aired on ESPN International and NBC Universal Sports. Congratulations on the Everyday Hero Award! I raced with you at IMCDA 2009. God bless and achieve happiness, peace of mind and freedom through nutrition!